This is an easy recipe. 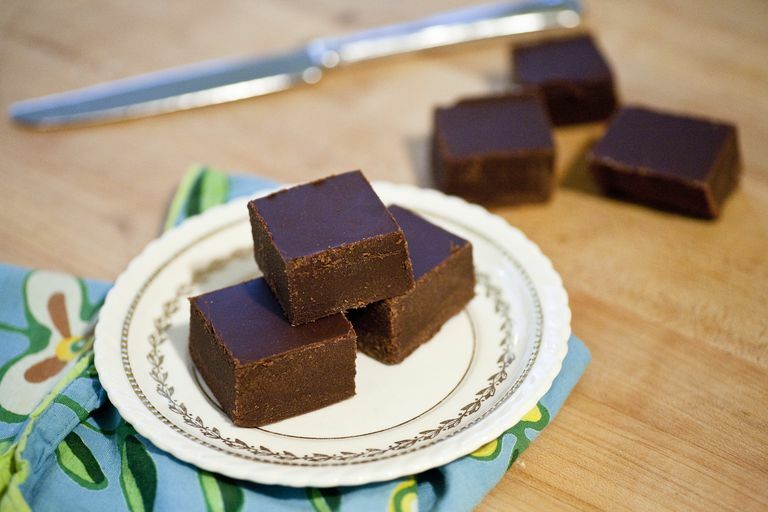 The fudge is intensely chocolatey, so the smaller squares aren't an issue—they really satisfy and are just sweet enough. Break up the chocolate into pieces and melt it. Pack or spread into a loaf pan. Cool to room temperature, or you can put it in the refrigerator. Cut into 36 pieces and serve. If you opt for a higher-quality chocolate such as Ghirardelli over a less expensive variety such as Hershey's, note that the fudge comes out very hard. Use less chocolate—6 ounces should be enough. If you're not worried about adding a bit of sugar, swap the stevia for an equal amount of powdered sugar or natural sweeteners such as honey or agave syrup. You can melt the chocolate in the microwave or use a double boiler. If you're worried about burning it, try pouring boiling hot water over it. Don't mix it. Let stand for a few minutes then drain the water from the top, leaving just the melted chocolate at the bottom of the bowl. Can You Make Sugar-Free Chocolate Rum Balls?